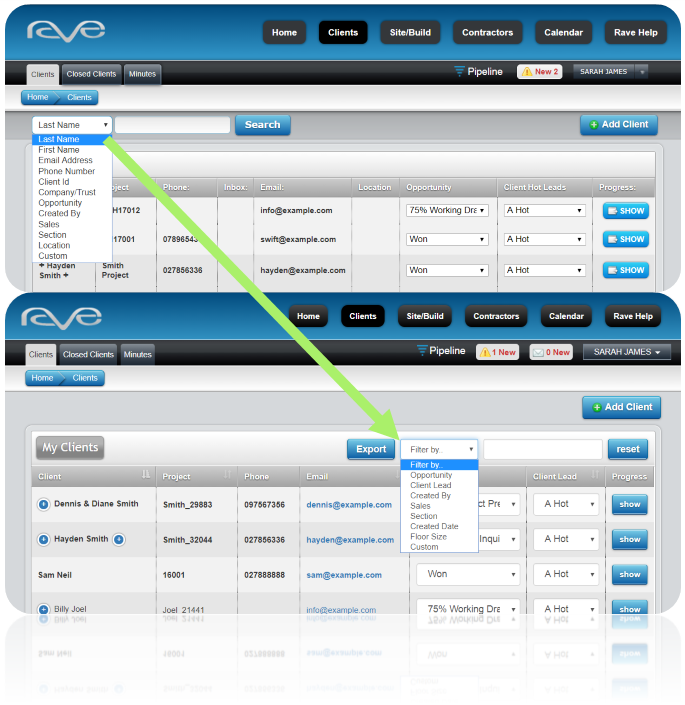 Here at RAVE, we love hearing your feedback so we can tailor New Zealand’s only end-to-end construction management app to you, and your needs. We’re excited to tell you about some great new updates that we’ve been working on. Our Clients Page has been revamped with new search features and improved functionality to make finding clients easier on both desktop and mobile versions. Learn more about the Clients Page here. Whatever you’re searching is now automatically filtered so you can do away with manually selecting search categories. 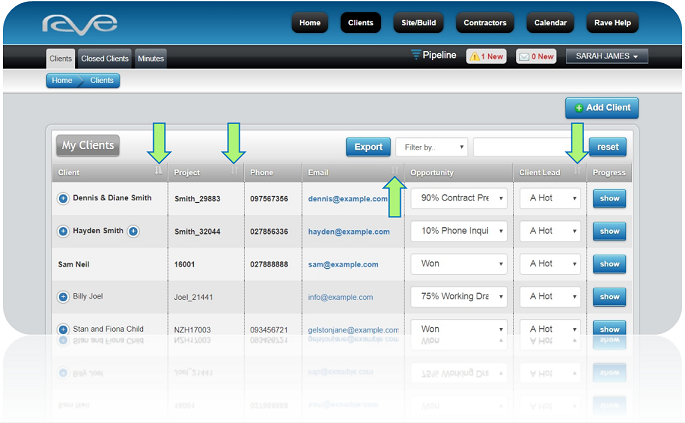 No need to select a first or last name – just type in Sam or Neil, and the dynamic search will do the rest! Learn more about searching for clients here. 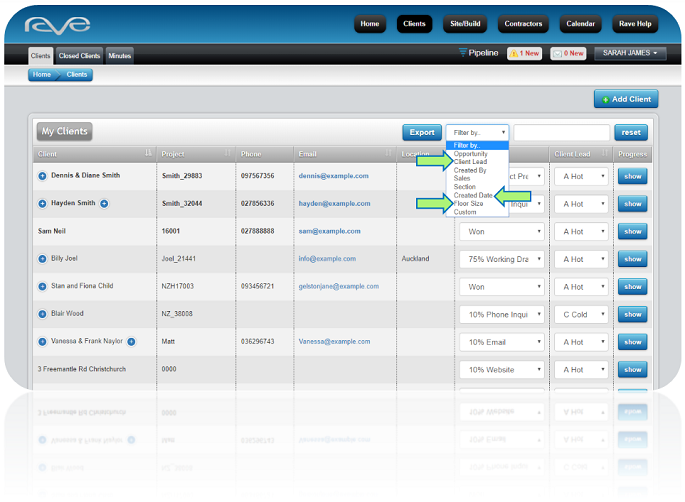 You can order data in columns alphabetically by clicking the arrow in the top right corner of each column. Read more here. You can now ‘Reset’ your results page with a handy button instead of refreshing your entire web page. Read more here. 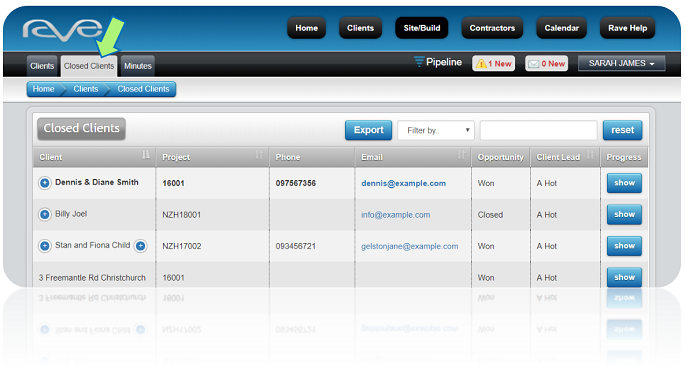 The new ‘Export’ option allows you to export data from your search results as a CSV file for Excel. Learn more on exporting your client search here. Don’t forget about post-sale clients! All updates to the ‘Clients’ page apply across the ‘Closed Clients’ page too. If you have any queries or need help, please don’t hesitate to give us a call on +64 (0)7 210 2228 (NZ) or 1-800-179-163 (Australia).